This blog discusses the use of Hill Sprints in training for distance runners. 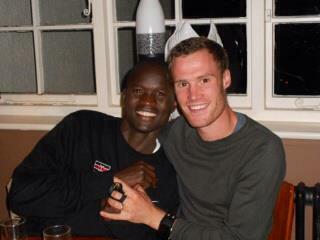 Hill Sprints were first introduced to me when I was coaching Kenyan runners with Renato Canova. Our group included Florence Kiplagat (2xWorld Half Marathon Champion and former World Record Holder) and Abel Kirui (London Olympic Silver Medalist) and Hill Sprints were a regular part of the training program. 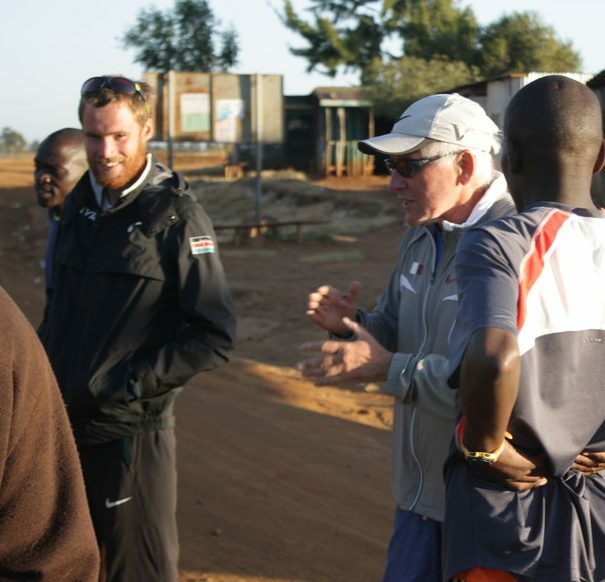 I then went on to continue using hill sprints with runners I coached at all levels back in the UK and found that the benefits extended way beyond the elite runners in Kenya. 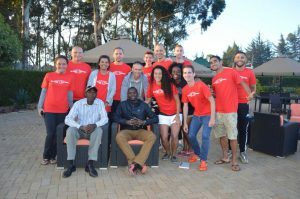 They proved to be a beneficial and enjoyable part of training for runners from recreational right up to National Elite levels. Gavin (author) with coach Renato Canova. In this blog I want to explore just what Hill Sprints are, how they help distance runners to improve and how you can work them into your training programs. Hill Sprints are exactly as the name suggests; maximal effort runs up an incline. Each run is limited to approx 10-12seconds in duration and is followed by a long recovery period (approx 2minutes). Thus allowing you to work at a truly maximal level on each individual sprint. A typical session would therefore comprise of something like 6x10seconds Sprint w/2min recoveries. Hill Sprints are best used on your ‘easy’ or ‘maintenance days’ after a standard endurance run. We would often schedule hill sprints the day prior to a hard workout after completing our main running session of the day. Hill Sprints do not constitute a hard workout in their own right, they are more of an ‘add on’ like you may already use strides. In fact they can be considered as part of a strength and conditioning program as much as part of the running program. Once you make the initial adaptation to the increased muscular effort (and delayed muscular fatigue) you will not find Hill Sprints to be something that leaves you feeling tired the following day. In fact they can actually leave you feeling invigorated the following day. Although they are a maximal effort, each run is short enough, and the recovery long enough to avoid thew accumulation of fatigue. A safe way to practice maximal speed sprinting. The incline of the hill means that less impact is absorbed by the runner. Strengthening of key muscles and tendons. I think of Hill Sprints as a weights session where the resistance is the incline of the hill and the technique of the lift is your running action. That makes hill sprints a very running specific form of weight/resistance training. This is an advantage in terms of injury prevention as well as performance enhancement. Recruitment of muscle fibres. This is a complex issue but I will try to make it as simple as I am able to. As distance runners the vast majority of our training is sub maximal. As muscle fibres work in cycles we use (and thus train) only a certain percentage of the fibres within our muscles. Thus leaving a portion of our fibres dormant and inactive. These fibres are only called into action during high intensity bouts of exercise such as a sprint finish, or the final few minutes of a competition. At which point the highly trained fibres we use at sub maximal intensities have become exhausted. Therefore we will not be able to call them into action during competition unless we have used these fibres in training. It is no co-incidence that those athletes who are able to sprint at the end of the distance race are those who have practiced sprinting in training. Hill sprints are an easy way to achieve this goal. There are other benefits to hill sprints such as improving ground contact time or “reactivity of feet” in the words of famous endurance coach Renato Canova. Not to be underestimated is also the enjoyment factor. 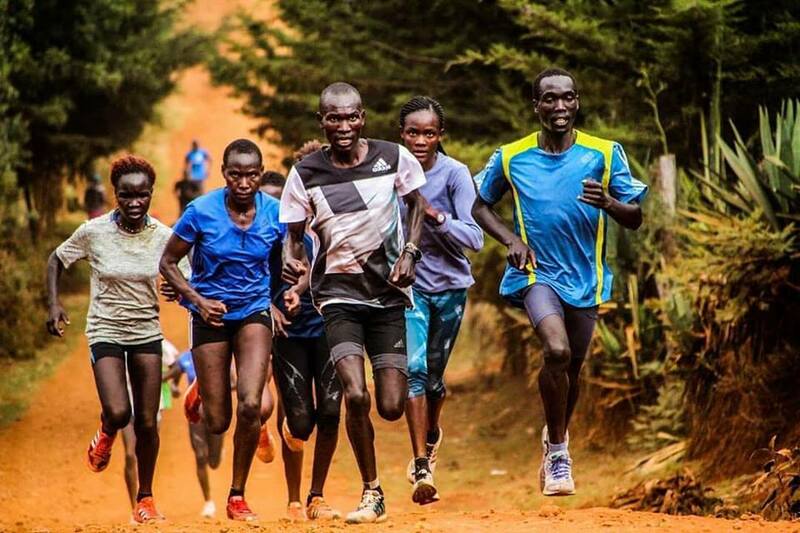 As distance runners we have limited opportunities to take on challenges such as maximal sprinting and you will be surprised how enjoyable this change of emphasis can be. This is something which should not be overlooked when considering an athletes motivation over a prolonged and sustained training period as is necessary for endurance running performance. 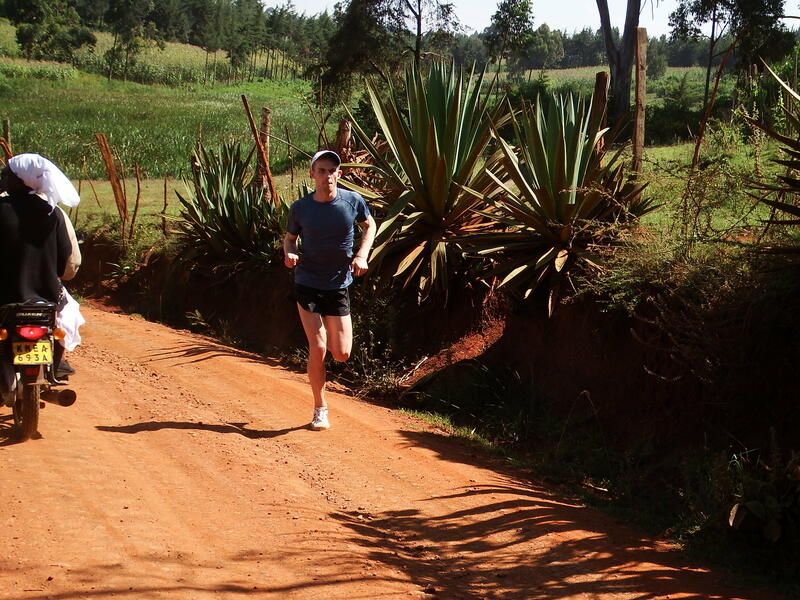 10,000m runner, Andy Salmon, doing some hill sprints during a training camp in Kenya. Example Session: 8×10-12second Hill Sprint with 2minute recovery. In advise using Hill Sprints over approximately 10-12seconds duration with a long recovery period. Each hill should be considered as one individual maximal effort so adequate recovery between each hill is necessary. The idea is not to try and quickly begin the next hill with a fast recovery. If performed correctly the athlete will be considerably ‘out of breath’ at the end of each hill ran and so the usual protocol is a stationary recovery followed by a slow walk down the hill. Progressions: Hill Sprints tend not to develop and progress in the same manor as other workouts as they are more of a maintenance and strength and conditioning session which stays stable over time. Timing of Workout: Hill Sprints are best utilised on non hard workout/session days, for example after an easy run. I hope that this blog has, at the very least, given you some food for thought regarding the possibilities of using hill sprints in your training as a distance runner. If you are going to give it a try and it is something new to you, then ease into them gently. I suggest just 4 or 5 on the first attempt, gradually building to 8. Is there an advantage to increase the leangth of each 10-12 sec between excercises? I enjoyed reading the article . Thank you will try. Apologies it has taken a few days to get back to you. Generally speaking, we use Hill Sprints as a maintenance tool, so there is not much difference between the sessions as the year/season develops. The way you described it certainly could be implemented. I would see that as a very long term thing however. For example, take your time to move to a level which you feel is ‘correct’ (for me that is something like 8×10-12seconds) and then stay at that level whilst you develop all your other aspects of training which are more specific. Then the next season try to move gradually to a longer distance/duration. Bare in mind though, that once you go much above 10-12seconds you are entering a different energy system and you will start to encounter longer lasting fatigue after the session. This changes it completely from something which can be done as a supplementary exercise to one of your hard days. Adding more intervals, rather than extending the length of the intervals may solve that issue however.